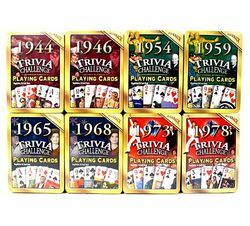 80th Birthday Deck of Trivia Playing Cards. 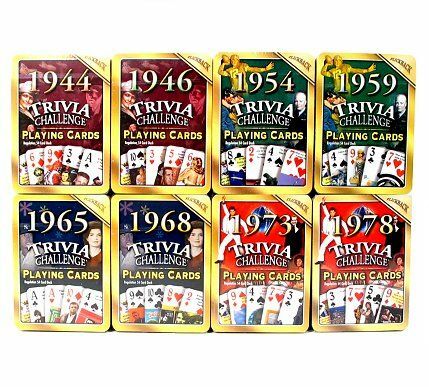 For the person turning 80 in your life, buy this deck of trivia playing cards for 1939. They can use the cards as their favorite deck to play card games, but at the same time they can test their knowledge about 1939. Each card has a trivia question on it, with an image that gives you a hint. The answers are on a separate card. Fun gift with a variety of questions. See additional 80 birthday ideas.